LU300 video encoder with HEVC. Hackensack, NJ, September, 2018: LiveU is presenting the latest addition to its HEVC product family at IBC2018, completing the transition of all its broadcast-grade units to HEVC and putting professional HEVC encoding within a wider reach. The new LU300 HEVC field unit combines high-quality video performance with extreme bandwidth efficiency in a compact form-factor. 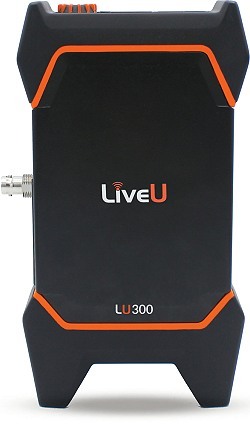 At an attractive price-point, the LU300 solution with HEVC at its core is tailored to customers requiring a smaller field unit for high-quality video-on-the-go.